Check out this Dyson - V6 Top Dog Bagless Cordless Hand Vac $169.99 (Retail $229.99). Power through tough cleaning tasks with this Dyson V6 Top Dog handheld vacuum. Multiple tools let you address food spills, pet hair or general dust, and the battery provides suction power for up to 20 minutes for lengthy work. 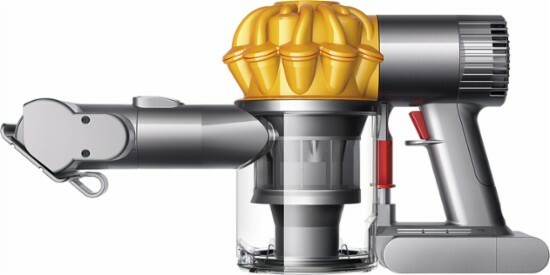 This Dyson V6 Top Dog handheld vacuum has a clear bin that collects debris for easy removal.